Protecting battery packs, while keeping a low profile. 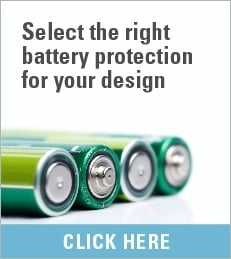 Our MHP-TA device offers a 9VDC rating and a higher current rating than typical battery strap devices. Most ultra-thin computing products use lightweight and high capacity lithium polymer (LiP) and prismatic cells that also exhibit higher voltages and battery discharge rates. The MHP-TA's compact size (5.8mm x 3.85mm x 1.15mm) and multiple activation temperature ratings ranging from 72 to 90 degrees Celsius, help give our device a sizable advantage in helping meet safety requirements required of LiP and prismatic cells.